Who believes in Thailand medical care not exists, that lies wrong. 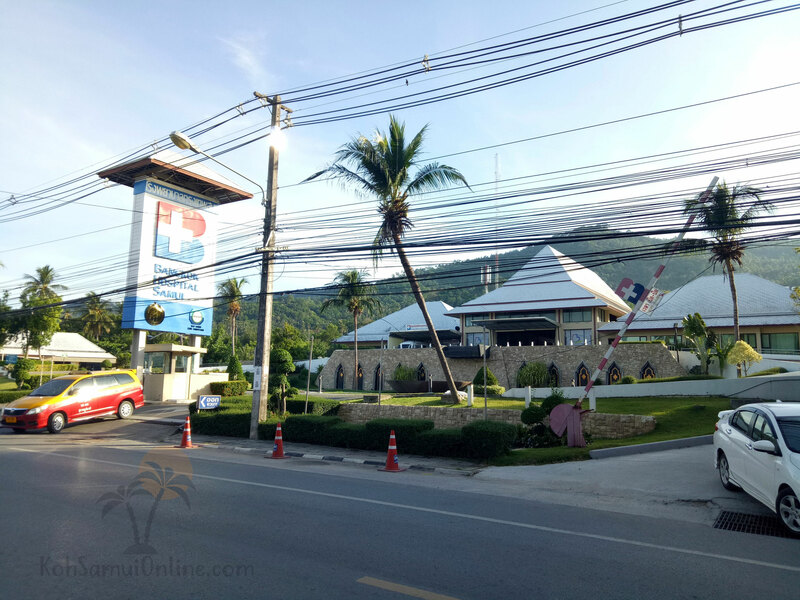 On Koh Samui the medical care is very good. There is a hospital on the island that counts to one of the best in the world. 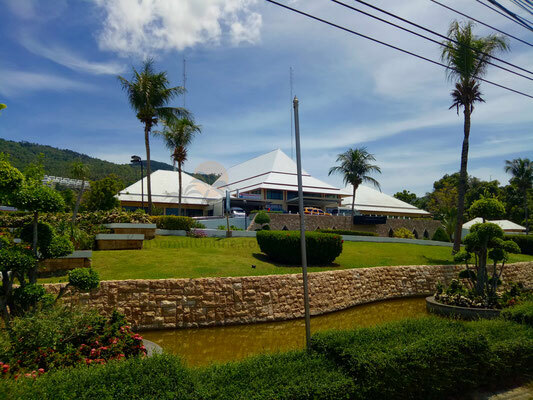 A surgeon in Germany had told me that rich people only fly to Koh Samui to let operate in this hospital. The speech is here from Bangkok hospital on Koh Samui. Because you must pay in the hospitals always yourselves, a travel insurance makes sense. At the end of every treatment, you must pay first of all yourselves. In addition you become the bill of the hospitals which you should keep. Back in the UK you can submit the bill to your foreign health insurance and get the costs refunded. The foreign health insurances is not expensive. Besides, you have the possibility to conclude the assurance online. Most accidents happen with the scooter. Drive carefully and not too fast or even drunk. Also the pharmacy are already very good and in most cases sufficient. For many things in which one needs a recipe in Europe one gets the medicine here simply. Should you maybe suffer from a strong influenza, you are able to the pharmacy. The staff will question you about some symptoms, then you get, for example, antibiotics or suitable medicine you need. The pharamcy employees are trained in this subject very well. Should you be sufficient no heavy accident might have the approach station of the pharmacy completely. Here you get everything, as for example, Betadine to disinfect, antibiotics, medicine against failure and indigestion, ointments against bacterial infections and many other medicine. Bangkok hospital is one of the best hospitals on the island. Here one of the doctors speaks even in German, his specialisation is the microneurosurgery. Every doctor in this Hospital speaks English. Each of the doctors here, is trained on his specialisation very well. This reaches from cardiology and surgery, plastic surgery, a women's doctor, orthopaedic surgery, neck noses ears doctor and a paediatrician also has it. In addition, there are still special packages like skin and beauty treatments. 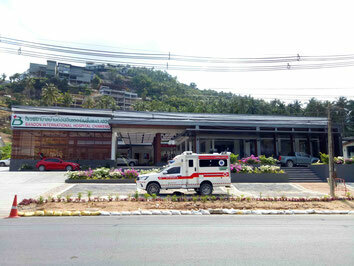 The hospital is located at the high street in Chaweng. 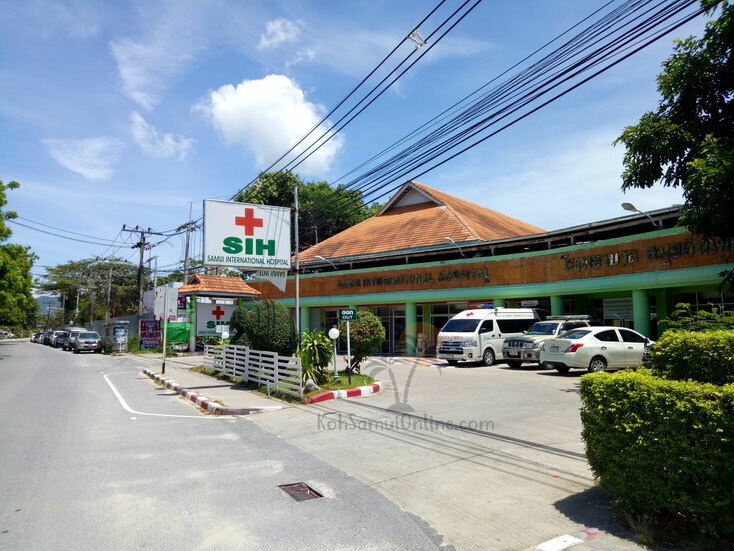 The Samui Internationally hospital is equipped also well and is also in Chaweng. Four doctors, English speak, work here fulltime and get helped from other five doctors, also speak English, working on half time. In addition, you find also a dentist him here works. Of course there speaks also English. Besides, the hospital disposes a 24 hours pharmacy. Furthermore you find one pediatric and orthopaedics clinic, gynaecologist, up to the physiotherapy and an ophthalmologist. The hospital also has own vaccination centre. Carry out here tests, all the same of which kind, one can allow to. For those on Koh Samui work, the hospital also leads medical tests from for work permits, driving licence or visas applications. As you can see, completely equipped. The Bandon Internationally hospital was built new and opened his doors in 2018. It is located on the high street between Chaweng and Lamai.